Silkscreen wristbands are produced by creation of a mold that resembles the shape of the wristband. Once the mold is created, molten silicone in the color of your choice, whether a single color, segmented colors, swirled color combinations or "glow in the dark" color is poured into the mold and allowed to cure. Once cured, the wristband is removed from the mold, your text, logos and images are chemically bonded to the silicone with environmentally safe, LEAD FREE paint that is guaranteed last. Once the Printing process is complete your custom Silkscreen wristbands are packaged for delivery. 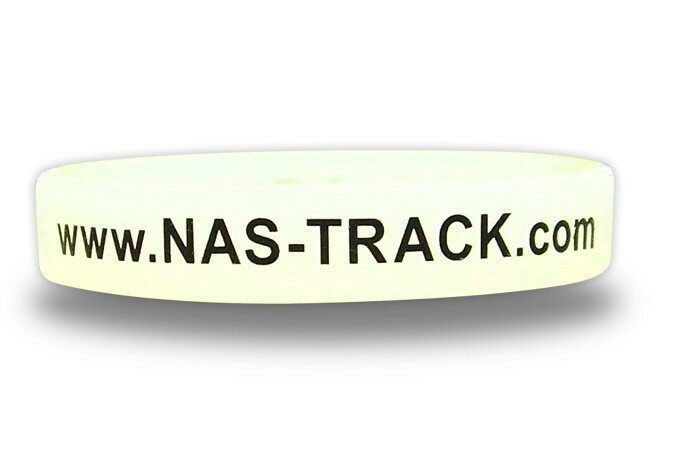 Text and logos can be imprinted all around the wristband. Imprint any design from flowers to animals, as long as the fit. It can be imprinted all around the bracelet.